An evening of dedication for Hope Community Church’s new building and an opportunity to experience God’s presence in an evening of worship. Refreshments from 7.00pm, worship starts at 7.30pm. 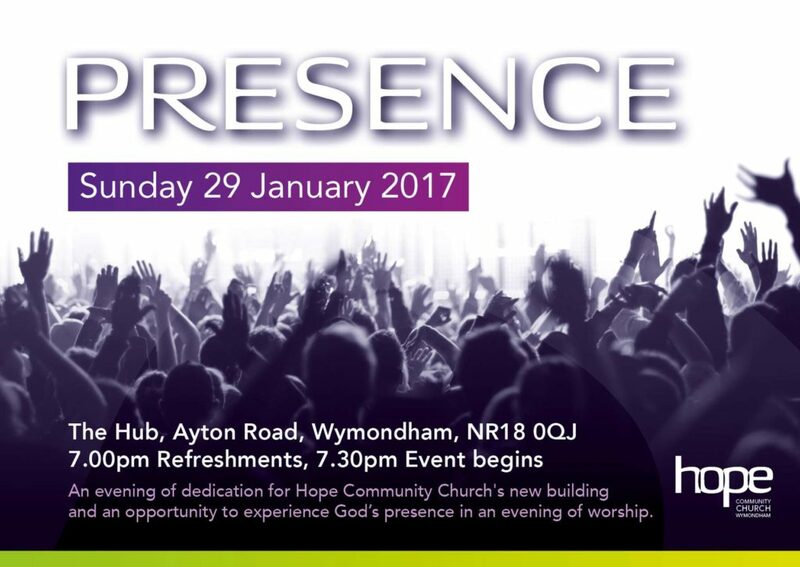 We would love those who were not normally at Powerhouse Praise to join us, we will be joined by other Relational Mission churches too.